Braces are not always an entirely pleasant experience, but the results can be life-changing. That is, as long as your teeth look amazing when your braces come off. Sure, your smile might be straightened, but what if stains and decay have occurred during your treatment time because you haven’t kept up with your dental hygiene? This does happen, and can be a great disappointment. Celina dentist, Dr. Angela Ganjoor, would like to offer advice to help you properly care for your teeth when you have braces. Someone who specialized in orthodontics is not a replacement for a dentist. Many people make the unfortunate assumption that preventive dental cleanings can be blown off because you go to your orthodontist regularly. They may be adjusting the force of your brackets and wires, but they are certainly not cleaning your teeth. You can turn to your orthodontist for advice if you are concerned with red flags. Inflamed gum tissue, bad stains, or signs of decay can be treated earlier if you foster a team of you, your orthodontist, and your Celina dentist. So, just how should you go about caring for your teeth so that your braces reveal a beautiful, healthy, white smile when your braces are removed? You should continue to brush your teeth at least twice-a-day with a fluoridated toothpaste. You may even consider more often, as food particles so easily get stuck in the brackets of braces. Try to hold your toothbrush at a 45-degree angle. This will provide easier access to the spaces between your braces. Even on a mouth free of brackets and wires, brushing away all plaque and tartar can be challenging. Your gumline can be difficult to reach beneath all of that metal, but do your best to be diligent. Don’t give up on flossing, either. 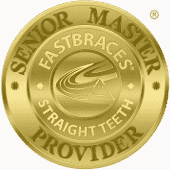 There are floss threaders specifically designed for braces wearers. For more information on your orthodontic options, or for a dental cleaning while you have braces, contact your Celina dentist at our 75009 dentist office by calling (214) 851-0130. Located in the 75009 area, we serve patients of all ages from Celina, Prosper, McKinney, Frisco, Anna, Pilot Point, and the surrounding areas.